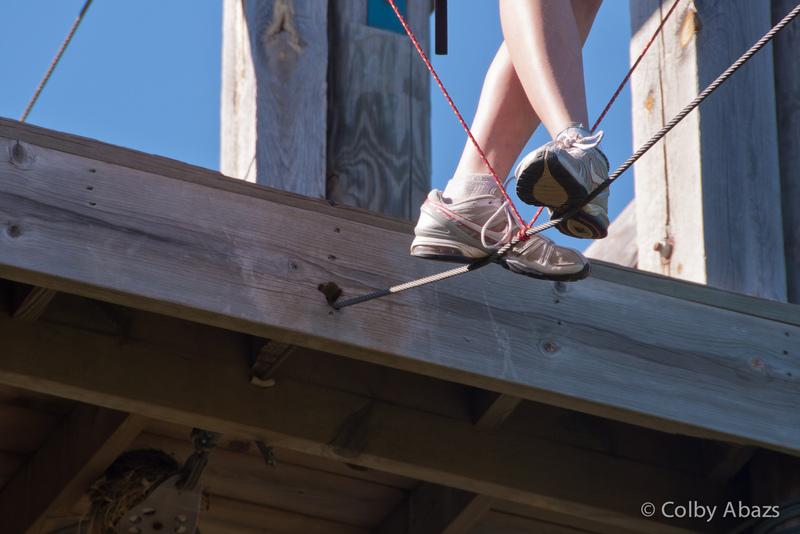 There is a high ropes challenge course at the Environmental Learning Center near my house. It is a very great ropes course way better then any I have seen or done elsewhere. You walk along different challenges hanging 10 meters(30 feet) off the ground. It is very scary for many people but I have done it so many times that I have gotten used to it. This photograph is of Laura starting out on the longest and arguably most difficult event on the course. I liked the crossed legs and how it reminded me of balay.